Marvel announced Thursday that it plans to launch a new animated series next year, focused on the young, diverse talent it has in its universe like Ms. Marvel, Squirrel Girl and others. The comic giant posted a video announcement on Marvel HQ's YouTube page that stated "there is a character for every kind of Marvel fan out there," said Sana Amanat, director of content & character development at the company. 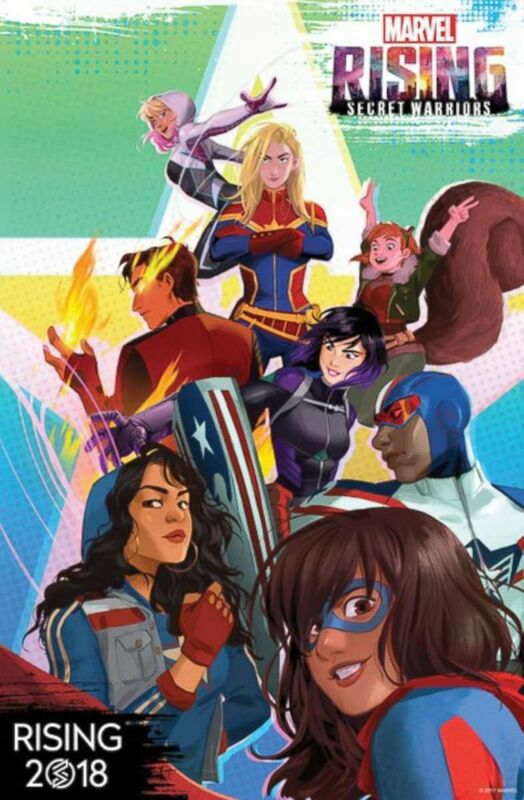 This series, titled "Marvel Rising," will be rolled out in six, four-minute digital shorts, and a film, "Marvel Rising: Secret Warrior" is set for a release later in 2018. Those familiar with the books know a hero like Ms. Marvel, Kamala Khan -- co-created by Amanat and other scribes including G. Willow Wilson and Adrian Alphona -- is a teenage Pakistani-American raised in New Jersey and part of the modern stable of diverse talent for the next generation. In the series, she will be portrayed by actress Kathreen Khavari. But this series isn't just for the young talent. Captain Marvel will also make an appearance, played by Kim Raver. In the books, Marvel is an inspiration and role model for younger heroes like Ms. Marvel. "It's all stuff you can connect with and feel like, these heroes are a lot like me," says Cort Lane, executive producer on the project.